Dear visitor, our site uses technical cookies, first-party and third-party analytical cookies and first-party and third-party profiling cookies. The famous kermesse in Merano, which promotes excellent wines in Italy and around the world, has reached its 27th edition, and this year Rotari is here again. 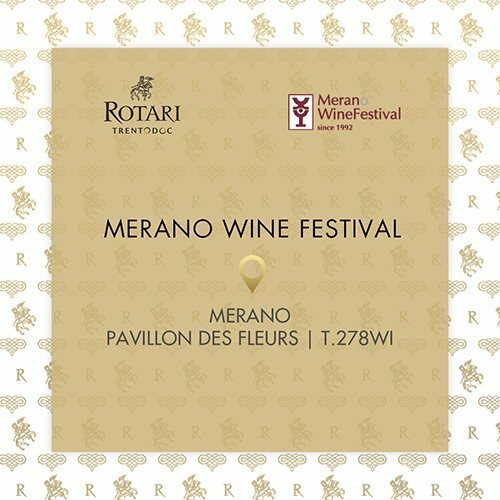 The prestigious prize that actually decrees participation at Merano WineFestival, The WineHunter Award, has awarded two of our labels the gold medal: Rotari Flavio 2009 and AlpeRegis Rosé 2013. From 10 to 12 November, as part of Wine Italia, we will be present at desk 278WI of the Pavillion des Fleurs, the elegant hall of mirrors of the Kurhaus, to taste together our excellent Trentodoc. We will be waiting for you!